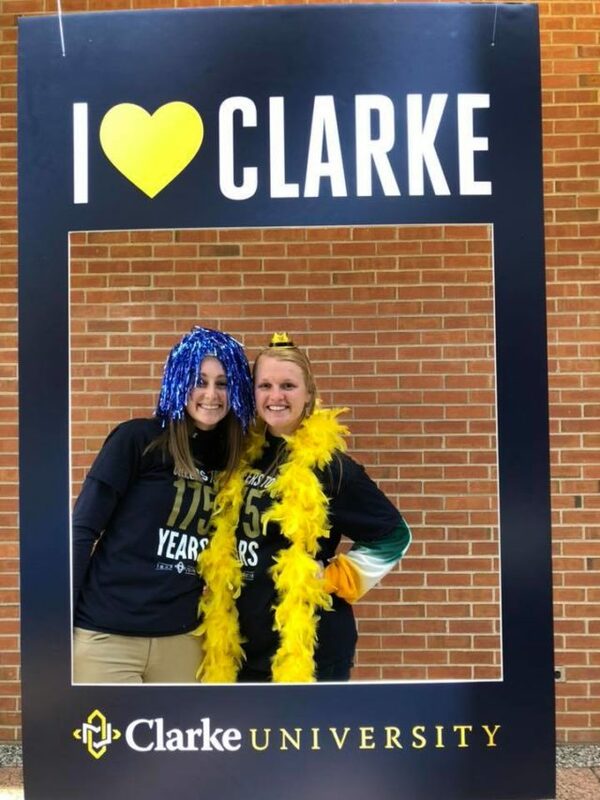 Thursday, October 4, was the fifth annual Clarke Day, a day in which Clarke University alumni, students, faculty, staff, and friends expressed their Clarke pride by donating to the University and posting on Twitter, Facebook, Instagram, and Snapchat using the hashtag #ClarkeDay. The day also celebrated Clarke’s 175th Founders’ Day. All gifts made to the Student Scholarship Fund on Clarke Day were matched dollar-for-dollar by members of the Wahlert family. Therefore, preliminary results indicate that Clarke Day raised more than $104,490. The funds raised will support a multitude of programs including student scholarships, academic and enrichment programs, athletic teams, and much more. During the 24-hour timeframe, more than 2,200 interactions were shared across all four social media platforms as well as over 12,20å0 story views on Instagram and Snapchat. The posts ranged from alumni reminiscing on their time at Clarke to pets sporting Clarke gear to new and future Clarkies expressing support. For more information on Clarke Day, visit clarke.edu/clarkeday. The Clarke community looks forward to continuing its celebration next weekend for homecoming October 12-14.